Travellers wanting to get in early should start planning for Collette’s brand new Northern Lights of Finland tour, with departure dates beginning from October 2018. This small group tour will offer the chance to catch a glimpse of the shimmering Aurora Borealis, one of nature’s most exquisite phenomena, or discover the rich Finnish culture and history on a tour of Helsinki with a local expert. Guests can lead their very own dog sled team, traversing forests and meadows at high-speed in the company of adorable speedy Huskies. 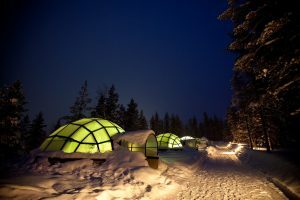 An overnight stay in a glass igloo amid the Lappish wilderness will be one of the many highlights of the tour, allowing travellers to be amazed by the dancing colours in the sky above. Collette’s clients can enjoy this once-in-a-lifetime adventure featuring northern lights, reindeer encounters, and Arctic treasures. For adventurers wanting to take a walk on the wild side, Collette’s Winter in Yellowstone tour is ideal. This snow-covered wonderland transports travellers as if through the magical Narnian wardrobe to a place where native elk, badgers, wolves, foxes and bears roam free. Visitors will be met with exhilarating wildlife encounters including a sleigh ride through the wintery snow-scape and the chance to spot some of these magnificent beasts. More active travellers can hit the slopes for some cross-country skiing. Collette is currently offering guests the chance to experience the majesty of Yellowstone with discounts of $450 per person for all bookings made by 31/7/2017. Collette’s Spotlight series offers guests an in-depth stay in some of the world’s most iconic destinations. For travellers who are short on time yet still want to see the very best of The Big Apple, Collette’s 5-day Spotlight on New York City Holiday tour is ideal. From visiting the Rockefeller Centre to ice-skating in Central Park, to seeing an exciting live Broadway show in Times Square, guests on this tour will experience a true New York City white Christmas. Other highlights of this tour include the chance to explore the spectacularly decorated locations and landmarks, including the Wall Street district, the grand Empire State Building and Chinatown. Guided by one of Collette’s experienced tour guides, guests will also get to know the local haunts and hot spots of New York City like never before. For nature lovers, Collette’s Canada’s Winter Wonderland tour allows visitors to immerse themselves into a scene clipped straight from a Christmas card in the splendid province of Alberta. Travellers will stay at two of its most spectacular, historic hotels – the Fairmont Chateau Lake Louise, a Victorian style lodge, and the Fairmont Banff Springs, otherwise known as the “Castle in the Mountains”. To revel in the powdery panorama of Maligne Canyon, guests can take a scenic ice walk or an exhilarating snow shoe walk. Collette offers visitors the chance to set off on a horse-drawn sleigh ride overlooking the mighty Canadian Rockies, and gondola rides to the summit of Banff’s Sulphur Mountain, where a picture-perfect view will be unveiled. Collette’s clients wanting to discover Canada’s snow-covered treasures can save $250 per person by booking before 31/7/2017. 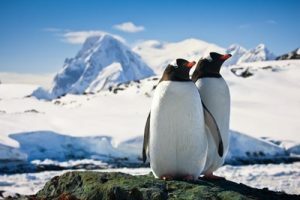 From winter wonderland to the “White Continent”, travellers can explore Antarctica in all its vastness and splendour with Collette’s Antarctica featuring the Antarctic Circle tour. Visitors will embark their voyage in exotic Buenos Aires, where they can turn up the heat and tango through the cobblestoned streets of San Telmo, or take a more scenic route to Tigre y Delta. From flamenco to flippers, Collette’s guests will set off from Ushuaia, Argentina, and be in awe of the majestic whales, seals, penguins and albatross frolicking amongst the incredible glaciers. On board the PolarCirkel boats to secret locations, including Deception Island, featuring black volcanic sand and beach waters warmed by geothermal vents, to Petermann Island, with breathtaking views across the channel to the Antarctic Peninsula. Guests on this tour will discover the magic and wonder of winter in one of the most exotic and remote destinations in the world.